To solve a problem we must understand what the problem is - including its severity, time frame and obstacles to solving it. ​​The problem is atmospheric pollution with several greenhouse emissions and they all have to be addressed- not just CO2. It has to be remembered that industrial age food production is a greenhouse gas emissions problem- it is a large source ​​of emissions. Also it must be realized that the green revolution that has greatly increased​​ food production is at present fossil fuel energy intensive, and the food supply system that brings the developed world a huge variety of foods consistently is fossil fuel energy intensive with transportation and refrigeration. ​​Obviously the solution to loss of food security under climate change is first and foremost solving the global climate change problem. There is no perfect solution to committed (locked in) global warming and climate disruption on food ​productivity. We are going to lose food production and it is going to affect all regions. For a great many agricultural economist Lester Brown of Earth Policy Institute ​​has been providing research about future losses of world food security due to our environment and land perverse economics. 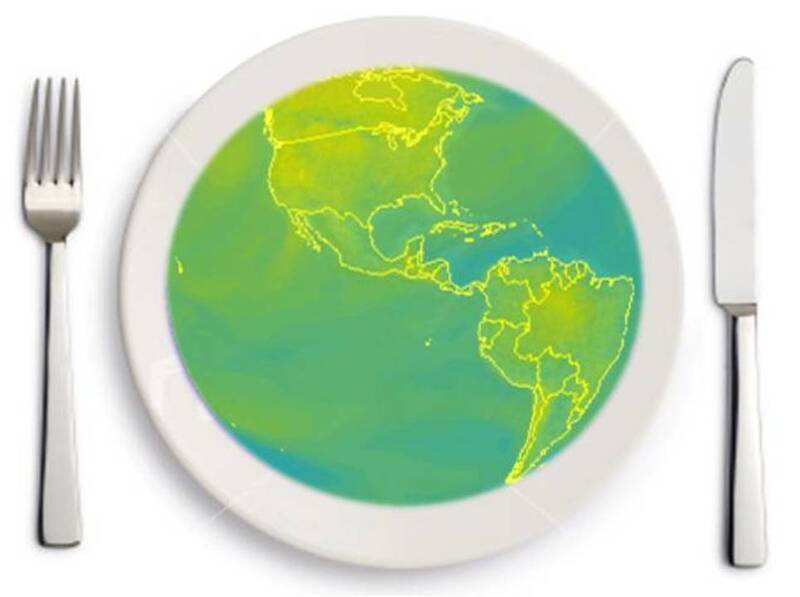 His latest book Full Planet, Empty Plates: The New Geopolitics of Food Scarcity is the best educational resource on the problems and solutions of food insecurity under global climate change. Mitigating food production losses,​​ requires addressed a number of big problems, as covered by Julian Cribb in his Global Food Security: defusing the ticking time-bombs 2013 presentation. The solution to the global climate change dilemma and to food security are more closely linked​​ than is realized. We have always known that ​​there is no solution to global climate change without all nations acting in co-operation, not as the world is now in competition and often in outright hostility. The world food security dilemma makes this very clear, because from now on all nations have a big food security problem due to committed (locked) in global warming. A big reason why industrialized states have done but delay cutting their emissions is that they believe they will actually benefit from global climate change, and only Africa, Small Island states, and lower latitudes will suffer losses to their food supply. They believe this, because it is what IPCC assessments have said- up to 2100 that is. ​​The IPCC AR5 2013-2014 has modified that somewhat by saying there is no food security problem till after 2050. In the 2007 AR4 assessment the IPCC said that the most vulnerable Global South nations would be able to make up for food production declines by buying more food from the increased (assumed) food surplus of the Global North. ​The 2013 US federal climate change assessment says US food security is good to 2050 after which American food production will decline. However the food production increases are just based on climate crop computer models, and in the real world they are not going to happen. The models do not capture about half of the known multiple adverse impacts of global warming and climate change on crops, but they assume ​​a large benefit from the CO2 fertilization effect. The CO2 benefit may possibly happen for lower degrees of warming, but if so it should be happening now, and there is no evidence that it is. The higher the temperature the more any CO2 benefit, gets overwhelmed by multiple adverse impacts. But even assuming the high CO2 benefit ​​Global North crops go into declining yields above 1.5C (global average from pre-industrial) and at 2C have all declined below today's yields. Also, the adverse effect to NH climate with increased and prolonged extreme weather events, from the rapid loss of Arctic snow and summer sea ice albedo cooling, ​​is a further factor for damage to NH food production. With the failures of the annual UN climate conferences, the climate change food research and policy have switched from mitigation based attention to adaptation based. It was agreed many years ago that there is no climate change solution without addressing both mitigation and adaptation. Mitigation is of course the priority and even more so with atmospheric GHG levels far higher than humans have ever known. With no action planned till after 2020 mitigation is even more of a priority to urge. Adaption in the absence of drastic cuts to emissions is no solution at all. ​​GM crops have been promoted as a solution, and more drought resistant species have been developed, but there is no such thing as a drought resistant crop and the GM products are less nutritious. There are things we can and must do in the hope of adaptation- there is no research that adaptation will help. 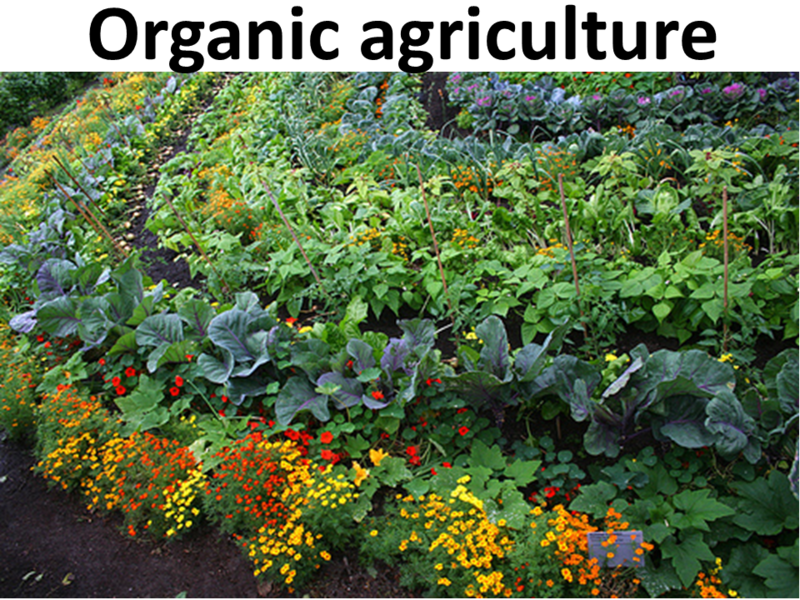 ​​They start with best agricultural practices, which applies to all regions. 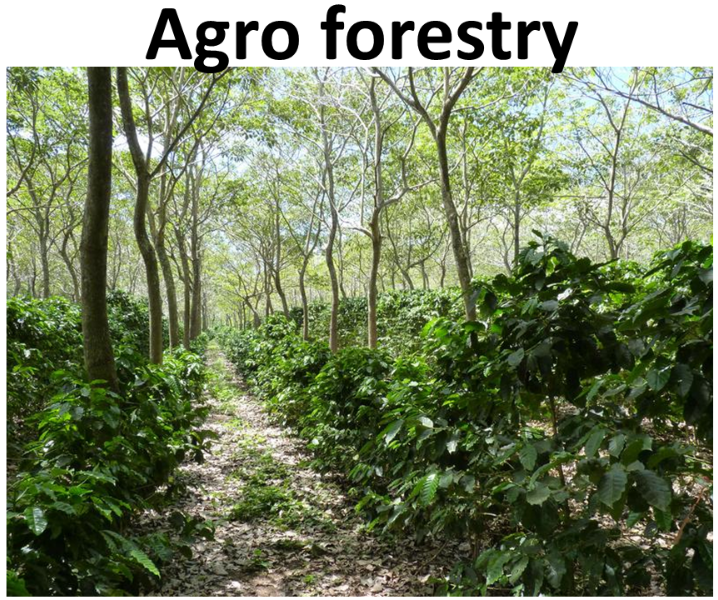 The best practice for both food production and addressing climate change is organic agriculture and best form of that regarding climate change is agro-forestry. Much progress has been made in methods like no-till agriculture and more efficient irrigation. 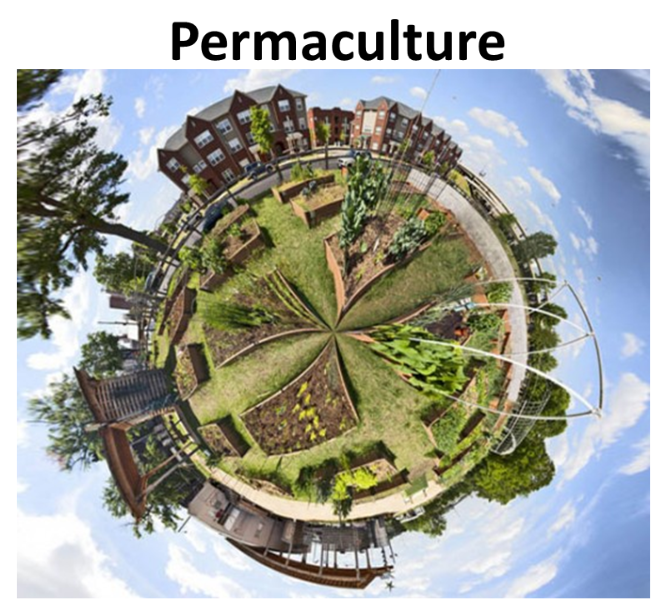 Permaculture can be an important source of food production in urban and country settings. ​Another remedy for both emissions and food availability is changing from meat based to plant based diet. Sadly the western unhealthy meat heavy diet is taking hold of the new industrialized nations, as a sign of affluence. 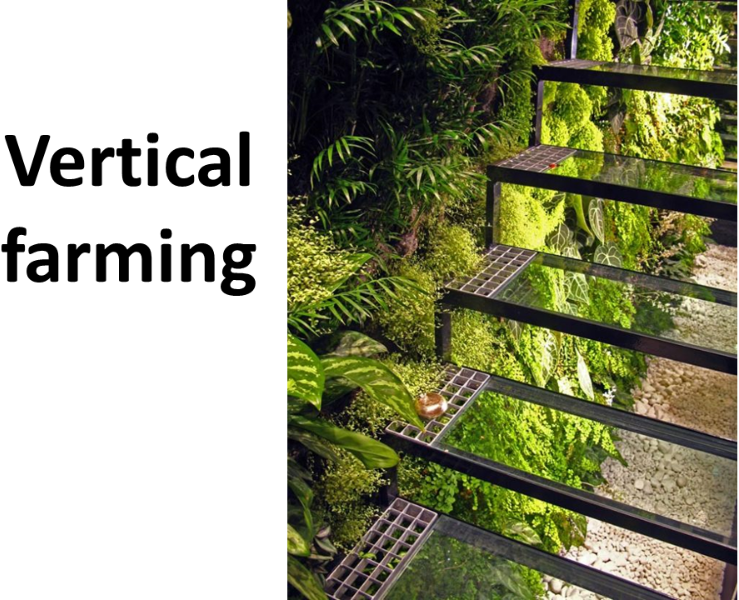 Modern industrial food production is a large source of all the three main GHGs. CO2 is emitted from deforestation for farm land particularly new pasture for cattle as well transportation. The big source of nitrous oxide is chemical nitrogen fertilizer. Another source is livestock. The big source of methane is livestock. The single most effective and readily available fast acting part of the solution is changing to the healthy plant diet. This we have known for a long time, is the healthiest diet for people and our planet.